French multinational retailer, Carrefour has entered into a definitive agreement with Jumia, a Nigeria-based e-commerce platform to boost online grocery, beverages and other sales. A Business Daily report indicates that the deal will allow Carrefour customers purchase a wide selection of products from its six Nairobi stores on Jumia’s online platform starting January. Carrefour is seeking to leverage on Jumia’s strength in ecommerce while utilizing its hypermarket experience in retail. 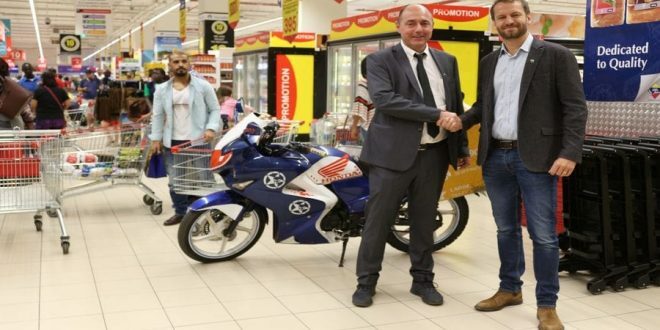 “We are happy to partner with Jumia in Kenya as we seek to extend Carrefour’s offering to more customers by leveraging on Jumia’s network and e-commerce platform,” Al Futtaim Retail (Kenya) country manager Frank Moreau said in a statement. The retail chain, whose local franchise is held by Dubai-based conglomerate Majid Al Futtaim is taking advantage of the financially-constrained local retailers to gain a footprint in the market. 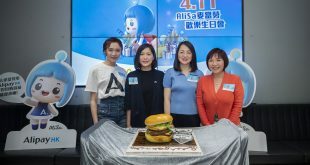 Since it entered the country, it has been considering a rampant expansion and the latest deal adds muscle to its commercial ambitions in the country. The firm’s line of retail which includes groceries, foodstuffs, including oil, biscuits (crackers and cookies), milk, and pasta speaks of both affordability and convenience. The deal comes to offer convenience of buying goods online as well as a wide selection of products for customers in Kenya, where online shopping is increasingly gaining credibility. Kenyan ecommerce is momentarily growing and this is evidenced by the growing number of ecommerce businesses. A joint report by the Communications Authority of Kenya and the Kenya National Bureau of Statistics found that more firms, about 27%, sold their products online. Most innovators, particularly the youth find it much easier to do business online unlike the brick and mortar enterprises where huge financial outlay is required to set up the infrastructure. According to an online shopping survey published in January last year by research firm e-Ensures, Jumia and Chinese-backed Kilimall are the most sought after online shopping platforms with a market share of 38% and 22% respectively. The reality of online shopping was evidenced by the launch of UberEats food delivery service in Kenya this year. In Kenya, the sector is dominated by Hello Food, Jumia Food and Yum Kenya. The rising demand for online food saw a cognitive partnership between restaurant chain KFC, South Africa’s chain of sea food restaurant, Ocean Basket and Hellofood in a revamp to boost online food services in 2016.